OK,,here is the question of the day. 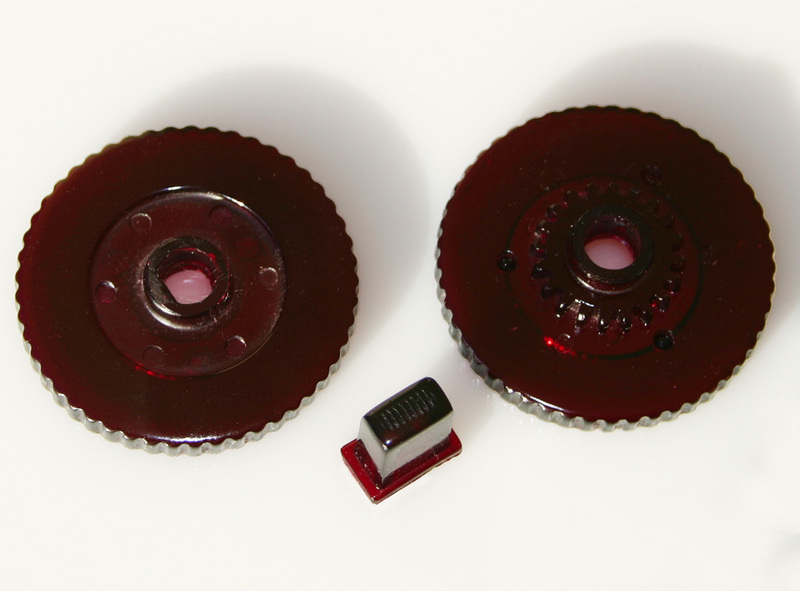 While finishing up the restoration of my 41 Continental, I discovered the correct color for the radio face plate is a maroon color? Well,,It's dark anyway and the one I have is a tan. The question is, as my car is body #18, could it be possible that it came with the tan face plate originally? This car was 100% complete when I bought it 36 years ago and during the restoration process, there really wan't too much non- original on the car other than the underseat heaters. The radio was listed on the production slip so it wasn't added later. and radio faceplate were TAN on this car, body No. 90. 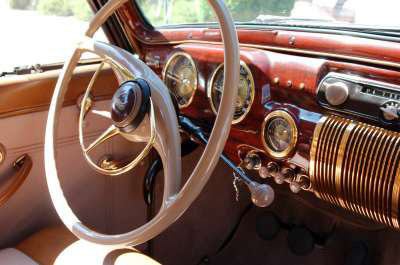 Tom, I have several pics of '41 Continental dashes and all radio face plates except one are a tan/ivory color, close to color of the plastic knobs and steering wheel. The one exception is a face plate near the same ( color) as the mahogany woodgrain? Went through my Zephyr dash research photo files on my work computer (Yes, I'm doing this at work, but don't tell.) and here's what I found. See attached. As you can see, one is maroon, one tan and one looks dark gray. I've always thought that the '41 face plates were Tan, Actually called "peachglow" according to John Murphy's research. I'm in the middle of molding the the '41 Radio stuff. Tuner knobs, selector and clear station dial are done, just need to mold the face plate. 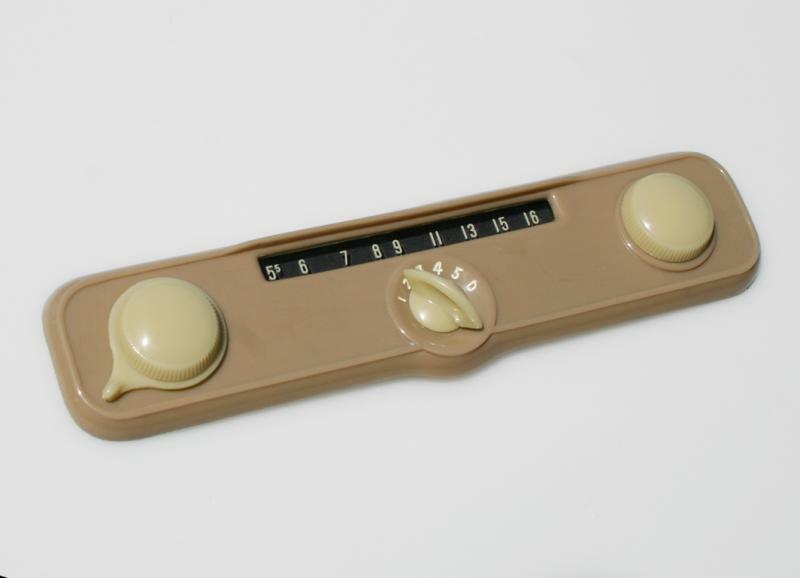 I'll be casting in peachglow with light yellow-tan knobs. Photos to come when I get the face plate done. The only color I've ever seen is the tan as in my mostly original 1941 Continental. Anybody remember the color of the faceplate on Edsel's 41 LC at his home? Questiion: Who made the factory installed radios for Lincoln in 1941? Philco? No, the early car had the same as the rest....but you will see very few done correctly for some reason..the dark plastic absorbed more heat, light and dried out and crumbled away more often...but mainly consider the numbers of lz's vs lc's and customs..
Continentals and Customs had gold macoid trim, mahogony dash and brown radio...LZ had light colored dash, chrome trim and tan radio... Check with D Roycroft he is "Mr 41" and a really great guy!! 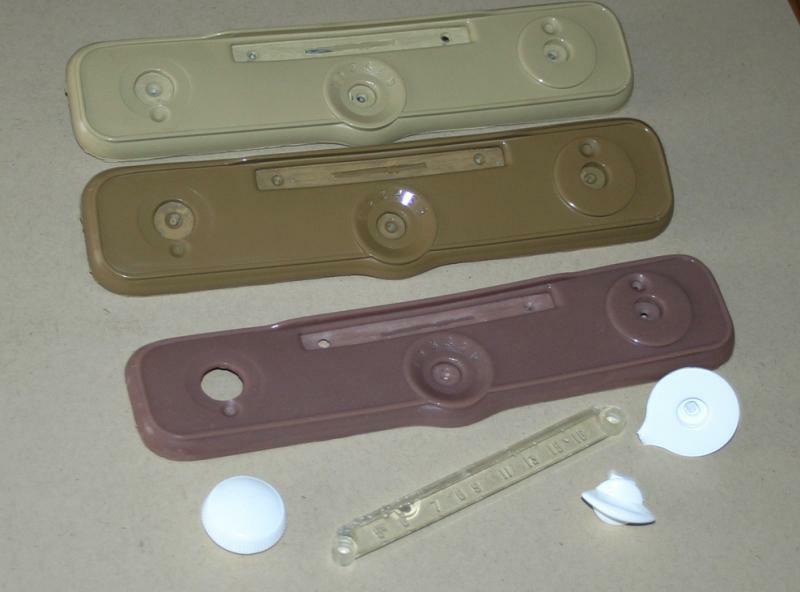 Attached is a photo of the '41 radio face plate and knobs I am currently to casting. Still working the bugs out. John Murphy generously loaned me his pristine example months ago and I am just now getting around to molding them and casting. 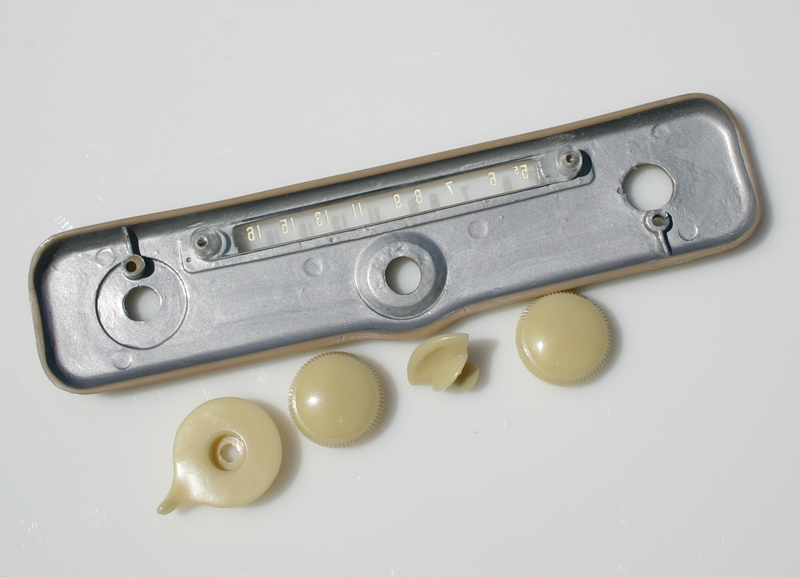 Molding and casting the '41 face plate is extremely difficult due to the thinness and complexity of the item. Right now, the front face looks good but having difficulty with even color and air bubbles on the back side. Very frustrating. The entire unit is a six piece affair, face plate, four knobs and the clear station dial. What you see in the photo is NOT the correct "peachglow". Until I get the pour problems corrected, I use "testing" resin". Knobs will be a lighter soft cream color. 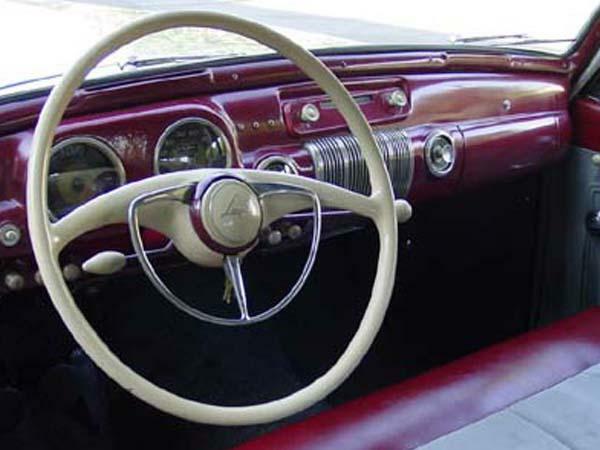 The second photo is the tuning knobs and push button for a ' 40 Continental radio I just finished last weekend. Difficult clamshell mold, easier cast than the '41 stuff. 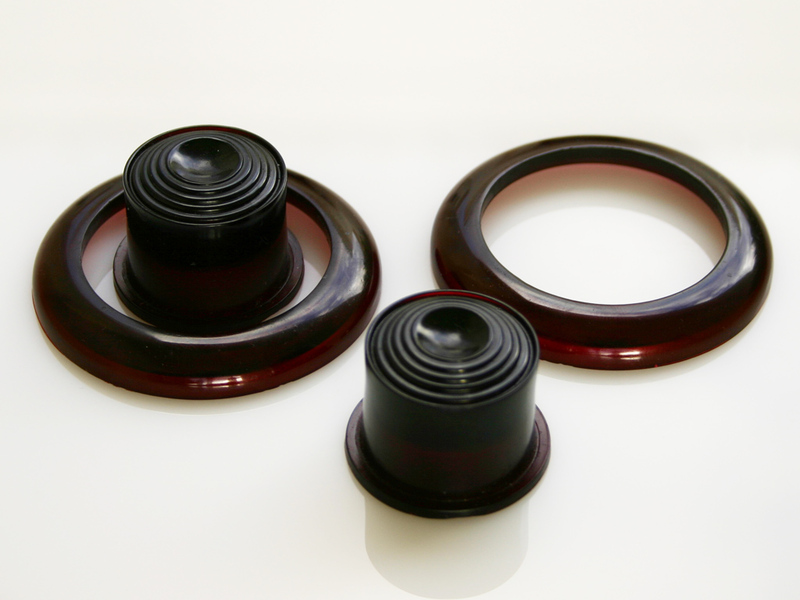 Yes, as a full set (shown, 2 buttons, two escutcheons) with mounting instructions, or individually. Send me a private message with your email and your needs, and I'll send you a price list. 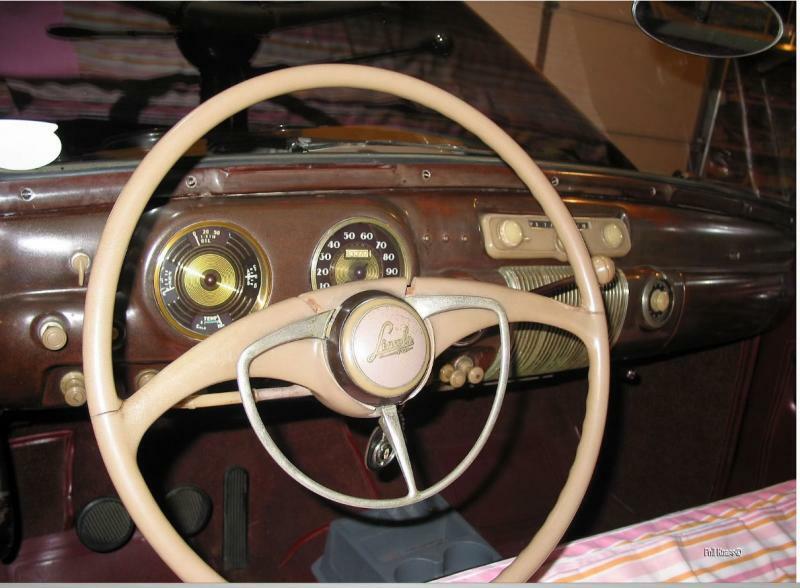 HERE IS ONE EVEN CLOSER, EVEN HAS THE OFTEN IGNORED CORRECT CHOKE KNOB..STANDARD ON 41 CONTINETALS AND CUSTOMS..BUT BECAUSE ITS HARD TO FIND..ACCEPTED BY THE "JUDGES" AS OPTIONAL. Great interior photos, just what i was looking for. 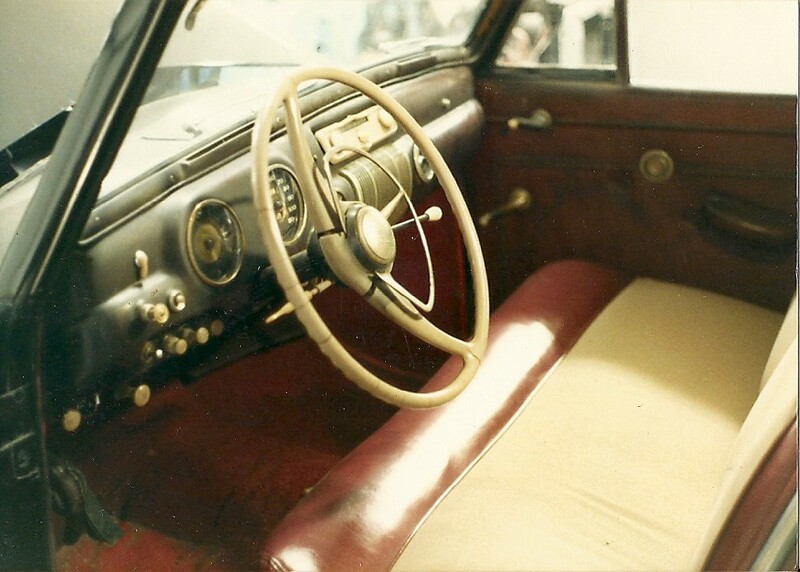 Now all I need to do is find all of those knobs to fill the holes in the dash. I think I agree that the darker is better looking. I am sure other will need these parts also. This is an update from my post from last year. Well, it took some time between moving from one state to another, but I got the casting issues resolved. Attached is the '41 radio face plate and knobs that are going out to Tom Overfield today. Color is the correct '41 "peachglow" and it matches the interior items I made for him earlier this year. Just like the original, the back side is painted silver to block out any light coming from the radio. I placed a black piece of paper behind the clear dial indictor to highlight the painted numbers. Send me a Private Message if you would like a complete color price list of all years, sent to you, either by email or mail. WOW!!! Looks GREAT Keith, thanks for your efforts.